From the prizewinning author of Mr. Timothy and The Pale Blue Eye comes Courting Mr. Lincoln, the page-turning and surprising story of a young Abraham Lincoln and the two people who loved him best: a sparky, marriageable Mary Todd and Lincoln’s best friend, Joshua Speed. Louis Bayard, a master storyteller at the height of his powers, delivers here a page-turning tale of love, longing, and forbidden possibilities. 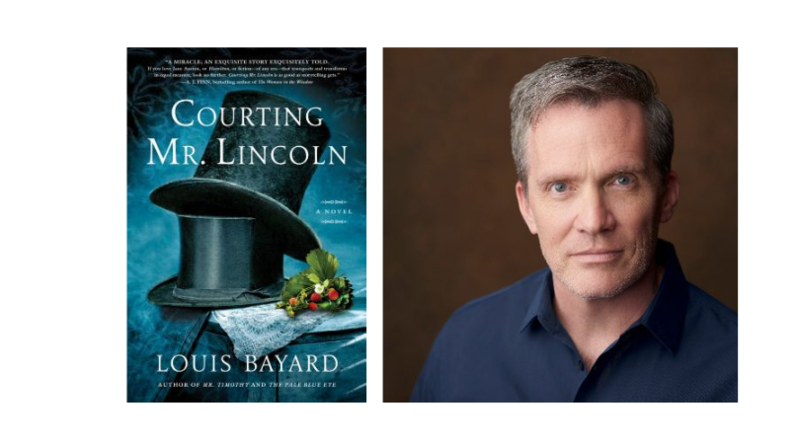 Louis Bayard is a New York Times Notable Book author and has been shortlisted for both the Edgar and Dagger awards for his historical thrillers, which include The Pale Blue Eye and Mr. Timothy. His most recent novel was the critically acclaimed young-adult title Lucky Strikes. He lives in Washington, DC, and teaches at George Washington University. Visit him online at www.louisbayard.com. Heather Abel’s debut novel, THE OPTIMISTIC DECADE, was published in May, 2018. Her writing has appeared in the New York Times, Slate, the Los Angeles Times, and the online Paris Review among other places. She worked as a reporter and editor for the San Francisco Bay Guardian and High Country News, during which time she talked to gold miners, fossil hounds, Native American environmental activists, and really bored teens in rural Utah. She received an MFA in fiction writing from the New School University, and she’s taught writing at the New School, UMass Amherst, and Smith College. Raised in Santa Monica, she now lives in Northampton, MA with her husband and two daughters, and she dreams of the Colorado high desert. “A miracle; an exquisite story exquisitely told. If you love Jane Austen, or Hamilton, or fiction--of any era—that transports and transforms in equal measure, look no further. Courting Mr. Lincoln is as good as storytelling gets.” --A. J.